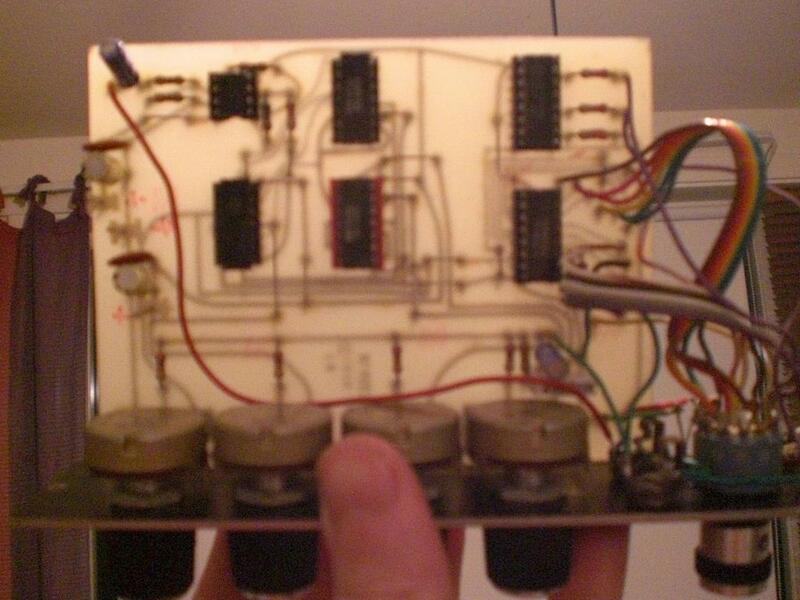 MUFF WIGGLER :: View topic - Blacet Subharmonic generator 1979 info? Blacet Subharmonic generator 1979 info? I recently got some old modules and this one Ive found no info on, and the faceplate is mostly unlettered. Obviously a subosc, but wondering on functionality and connections. My build has 4 knobs for parts volume (1, 1,5, 2 and 3 some lettering is there)then 2 sockets, a 12 way switchknob and 3 connections (one labeled var.). 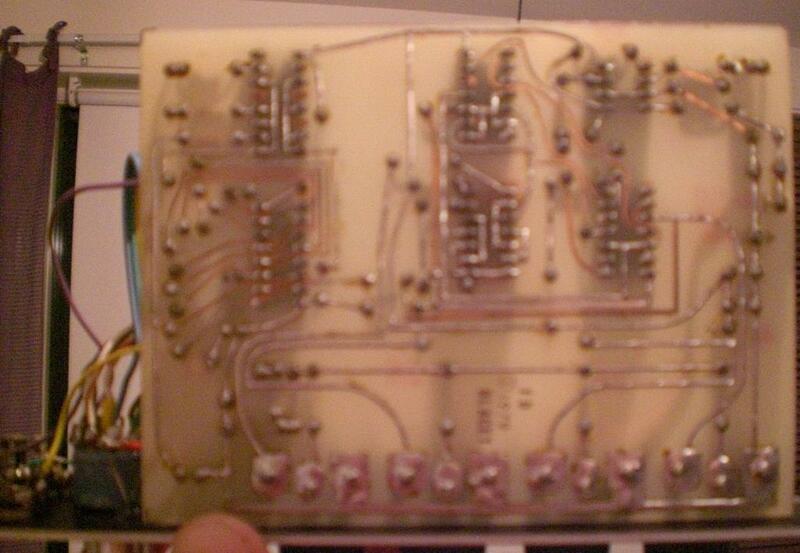 Made by Blacet 1979 according to circuit board. Crap light this time of day and flash messed it up, but better than nothing. Chips are 4040, 4050, 2x4013,4001A and TL072 Pots are all B10K, hardly anything else on the pcb just some caps for power handling, and 3 more caps and some resistors. Var. is probably the switch, so Id guess one of the top two (or both) sockets are inputs and theres individual outs for the subs? Left top socket goes to input A on TL072 so guess thats input, right top is on the output line of all pots so should be summed output, but would the others sockets be mods or outputs you think? EDIT: 4050 and 4040 ICs it was, so the switch/selector chooses which output from 4040 goes into the 4050, that activates the led and also go into two buffers wich outputs are two of the sockets, last socket goes to something on 4040, so that might be some kind of mod input. Blacet had some kits since the mid-late 70s you'd incorporate them into your larger system. Not sure if they came out built too. There were DIY articles to tie in. I would think John Blacet could get you the specifics. Definetly kit, home etched and from mag. I was just going to post a link to the FD page for you.